Midwest Industries G3 17” 5.56mm AR Rifle/Carbine Gets Tricked-Out with DEFIANCE, Inforce, RailScales and Vortex Optics Tactical Accessories! 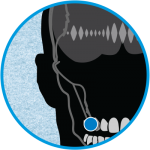 Sonitus Technologies Molar Mic Bone-Conduction ‘Supersense’ Covert Combat/Tactical Communications Technology: Is a Waterproof Mouth Mic’ the Future of Clandestine, Covert Comms? Caracal CAR 816 Short-Stroke Gas-Piston/Op-Rod Tactical AR-15 Carbine for Tactical Operations and Home Defense! Caracal Enhanced F Striker-Fired 9mm Combat/Tactical Pistol Models: Now Suppressor-Ready, and Made in the USA! Rostec Russian Ratnik-3 Future Soldier Military ‘Stealth Camouflage’ with ‘Chameleon Helmet’ Adaptive Camo (Camouflage)/Visual Cloaking Technology to be Demonstrated for Soldier Suits and Vehicles Soon: Does it also Cloak Thermal/IR and SWIR Signatures? Improving your Glock for under $100 Part II: Connectors, Sights and Magpul Magwell! Improving your Glock for under $100, Part I: Plunger and Trigger Bar Mods! Archon Firearms Type B Striker-Fired Semi-Auto 9mm Combat/Tactical Pistol with Ulta-Low Bore Axis: Going up Against the Gen5 Glock 17/19 and CZ P-10 C Pistols!